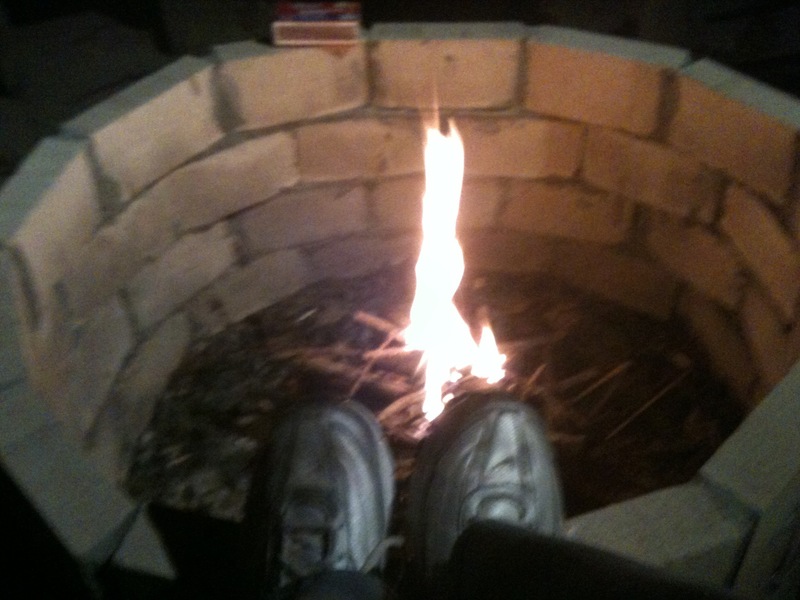 My Wedding Album — Time to Reduce It, Perhaps by Fire | Just Me With . . .
A while back I wrote a post entitled, “Wedding Leftovers” where I discussed what to do with the remnants of a failed marriage. I concluded that I’d keep the wedding pictures. Today I am consumed with the idea of destroying some— just some — of my wedding photos. Is it a coincidence that this feeling comes on the eve of what would have been my wedding anniversary — the first one since my Ex-husband has remarried? I think not, but there’s a slight possibility I’m fooling myself. It just suddenly feels a bit icky to keep all this stuff in its original form. I have children as a result of that now defunct union. I think that in later years they will enjoy seeing the pictures from their parents’ wedding. Consequently, I do not feel comfortable destroying — all of them. Anyway, I looked good that day. My best friend looked good that day, too. And, from a distance, my Ex-husband looked good, too. So yes, I’ll keep some. But I do feel comfortable taking the pictures out of the leather-bound book and velvet cover. I don’t need to preserve the formal display anymore. I also feel comfortable destroying the picture of my father with my then husband’s sister, a picture that was included in the album only because this sister was nowhere to be found when the rest of the family was posing for pictures so we kept this one shot so she would be in at least one photograph. Anyway, there are other, better pictures of my father. Plus, this is the sister who was not very respectful to me, my home, or my parents during “the invasion” or the “War of the Roses” situation as I call it — Humph — so her photo can go. And, I do feel comfortable destroying the poorly touched up close-ups of my then husband, whose face broke out right before the wedding. (Even his skin was trying to tell me something.) He hated the pictures because he looked so bad and he wouldn’t “let” me show the album to anyone anyway. Humph. I’m even cool with limiting the bridal party pictures of the women. My second best friend was suffering from a stomach disorder that was so bad that she had to be released from the hospital just to attend the wedding. She’d been throwing up — a lot. She didn’t look so good. I would guess that she’d probably be quite happy if I made some of the pictures that include her . . . disappear, especially since she’s a television personality now. Also, I am completely cool with losing photographs of some of my Ex-Husband’s friends and those wedding guests that now I’m not even sure why we invited– except for, of course, that photo containing the likeness of one guest who is now somewhat famous (Nope, I’m not telling — heh, heh). I’ll keep that one. Yeah, I’m ready to reduce and downsize my wedding mementos and preserve them in a manner of my choosing and befitting their relative importance. It’ll be like the olden days when there was only a portrait of the bride, maybe some pictures of the wedding party and the happy couple — but just not so many damn pictures. I really don’t need all of them. If my whole downsizing thing has taught me anything, it has taught me that I don’t need to preserve everything. Hell, my Ex-husband and his new wife don’t have this stuff taking up space in their home. I don’t even want it taking up treasured space on my hard drive. So yes, I am completely cool with reducing the number of photos, and placing them in a less shrine-like album. And bonus, my taking control of the manner of display may make it more bearable when the kids do want to look at them. Sadly, it has started to rain. So there will be no fires today. Sigh. But another day . . . burn, baby, burn . . . 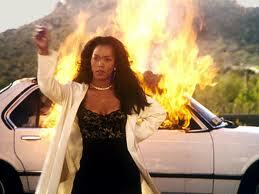 Waiting To Exhale — Burn!! Just don’t allow your children to see them burn or even to know you burned them. They will take it the wrong way, especially the one having a hard time with the divorce still. I have been divorced since 1981 and still have the original album. But, I am okay with that. However, yesterday, I decided to take it out, look at it and put some pictures on my laptop. Oh of course, not. Children are not invited to my burning ceremony. Kids don’t need to know everything. I can’t bring myself to this…I just put the album and wedding rings in a safe deposit box for our daughter. I took every single photo of him, his family and our vacations(none of our daughters photos, from birth to 1 year- that was MY joy to be taking photos of her doing every little thing:) )..burned them to discs and mailed with a post it ” enjoy, they are the only copy left on earth”. Whoa, really? I hope it made you feel good. I assume mine has no use for wedding pictures from his first wedding, and he’s never asked for them. Actually like I said he’s always hated the wedding album anyway. No, I consider wedding pictures to be mine to do with what I wish. He took what was important to him when he left. You spent a lot of time getting rid of those. If I wanted to give any pictures away (I DON”T), I would tell him they were on a box on the porch. If he wanted them retrieved, he could do so or send someone to get them. If he lived far away and wanted them mailed, I would do so only after I received money for shipping and handling. I might put them in a trash bag on the porce if rain were predicted. I did keep a few of him just to show to children because he said I was fat (5.7 and 120 pounds) after I had three children. He is standing next to me with a stomach that hangs over and hides his belt. If somebody wants to preserve a copy, I think a disc is a good idea. I did not consider it an inconvenience to “highlight/move” to disc the pictures, 5 years is a lot of memory on a hard drive. We don’t all live forever and as much as I may not care for all of his family, there were plenty of pictures of people I truly respected that I couldn’t not share. Good for you, girl. That physical purge from your life must seem like a giant weight lifted. Every now and then it’s good to have these symbolic “letting go” moments. Haven’t stopped by in awhile and have missed you. Hope all’s well! Thanks. That formal display was weighing me down, and taking up space. Felt good to control it. And it’s really cool to watch photos burn. I have to let go of the annoying reminders and at the same time also reclaim all the parts of me that were down played because of my relationship. Plus, when I die I don’t want anybody to say, “She saved everything about him.” Ugh. Yeah, this started me on a whole new review,discard or display sorting process. Back when people used film cameras you ended up with prints of pictures that aren’t any good and on a digital camera would have been deleted immediately. Those can go now. And it is good for the kids to be able to see some representative pictures — but the rest can go. Makes me feel better about my past, too. Also, there is such a thing as too many pictures. Then nothing gets looked at. Anyway, thanks for reading and commenting.